Have you considered Managed WordPress hosting? Managed WordPress hosting is becoming an increasingly popular option among many professional WordPress bloggers and top webmasters these days as these services will often take care of all the technical aspects of WordPress for you, allowing you to focus on creating and sharing great content. As an added bonus, these companies will also typically answer your technical questions, make sure your WordPress content loads quickly, and install your WordPress theme and plugin updates. Examples of popular managed WordPress hosting companies include WPEngine, ZippyKid, Page.ly, and Synthesis. These top companies provide similar services and features but all offer a few extras to try to seperate them from the pack. So, is a managed WordPress hosting service for you? Deciding whether or not to sign up for one of these services will likely come down to your personal needs. If your website/blog attracts a lot of traffic and you use WordPress frequently, managed hosting could be an attractive option. On the other hand, if you’re just a casual blogger who just wants the basics from WordPress, managed hosting might be an unnecessary expense. Before you start paying for this type of hosting, it’s good to keep in mind that companies like ZippyKid and Synthesis can make your life as a WordPress user easier, but they’re not perfect solutions for everyone. Your site and content will load faster. People are a lot more likely to leave your site or spend less time on it if it loads slowly. You’ll have someone to turn to when technical issues arise. Trying to call one of the big hosting giants like HostGator or GoDaddy when you’re having WordPress problems won’t get you anywhere. The tech support people at big hosting companies don’t know anything about WordPress. You’re paying managed WordPress hosting companies to know the ins and outs of the popular content management system. So, you get the kind of support you need from companies like WPEngine and ZippyKid. Your content and confidential information will be more secure. Managed WordPress hosting means you don’t have to worry as much about malware, vulnerabilities, and other security issues. It also means that your data is backed up regularly to ensure you don’t lose any of it, even if something crashes or a security issue arises. You don’t have to spend as much time learning about WordPress. Many WordPress users spend hundreds of hours every year researching WordPress how-to guides and taking free WordPress classes to become better at using the content management system. Since managed WordPress companies take care of all the technical stuff, you don’t have to waste any of your precious time learning how to install a new theme or get a new plugin to work. Managed WordPress hosting is costly. 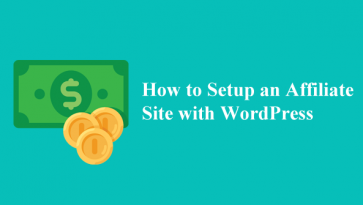 It generally ranges in price from about $30 a month to a few hundred dollars a month, depending on how many WordPress installs you need managed. If you’re a perpetually broke college student who blogs for fun, managed WordPress hosting probably isn’t for you. You have less control. 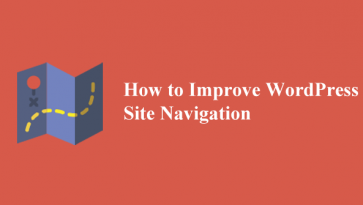 If someone else is managing all the technical aspects of your WordPress accounts, you don’t decide what gets updated and changed to improve efficiency. Someone else does. If you like to be in control, managed WordPress hosting might not be the best fit. You have to pay extra when one of your posts goes viral. Most basic managed WordPress hosting packages, the ones that cost you around $30 a month, only allow a certain number of visitors to your site each month before they charge you extra. Usually the number of visitors allowed is around 25,000. 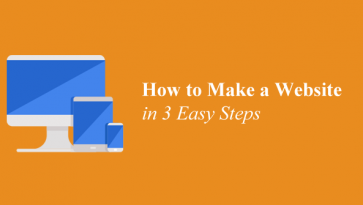 If 1.3 million visitors check out your site one month, you have to fork over quite a bit of extra money to the hosting company. You could avoid this by paying for a more expensive package that allows more visitors per month, but that would just end up costing you more too. Overall, if you can justify the price of managed WordPress hosting, there’s definitely good reason to look into it, especially if you want to make your life as a WordPress user simpler.